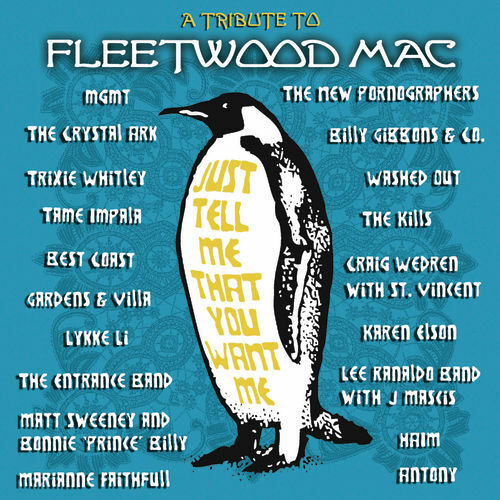 Randall Poster and Gelya Robb follow up their Buddy Holly tribute with another star-studded collection, this one dedicated to Fleetwood Mac. On Just Tell Me..., some artists show their reverence in color-by-numbers fashion: Lee Ranaldo and J Mascis capture the bluesy dream of "Albatross"; Antony treats "Landslide" with grace; and Best Coast's Bethany Cosentino and Karen Elson do spot-on Stevies. Others make a classic their own: Washed Out's watery synths give "Straight Back" a modern warmth, while Tame Impala and The Crystal Ark pass their respective Tusk tracks through acid-dipped prisms.